[Beauty] The Face Shop Release New Product "Chia Seed"
In early 2013, The Face Shop was release the new product. It is was a Chia Seed. Did you know?? Chia Seed is a seed indigenous to southwest American. It also known as "The King of Moisture", it absorbs and hold up to 10 times the moisture of its own weight. The function of Chia Seed are moistens your skin, improves skin immune system, and prevents skin damage. The "Chia Seed" have around 7 items for the seed moisture on your face all day long. 1. 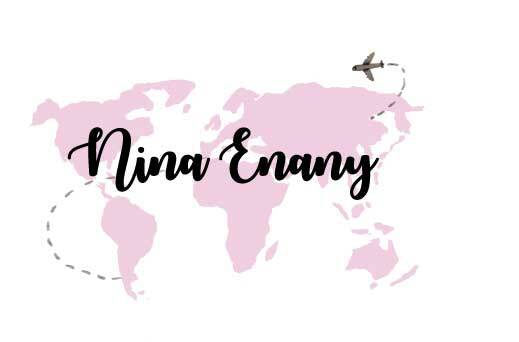 Chia Seed Boosting Essence -> First-step boosting essence for use when the skin is thirsty after washing face. 2. Chia Seed Watery Toner -> A moisturizing toner for hydrating inside the skin with organically grown chia seed. 3. Chia Seed Smoothing Mist Toner -> A mist-type toner for quick soothing and moisture-recharging with fine moisture drops. 4. Chia Seed Watery Eye & Spot Essence -> An eye & spot essence in a new concept to remove dark circles and fully hydrate the skin. 5. Chia Seed Moisture-Holding Seed Essence -> A moisturizing essence with moisture jelly capsules containing condensed organic chia seed for a crystal-clear and moisturized skin appearance. 6. Chia Seed Watery Lotion -> A moisturizing lotion that improves suppleness and moisturizes the skin a degree higher with nutrients in organic chia seeds. 7. 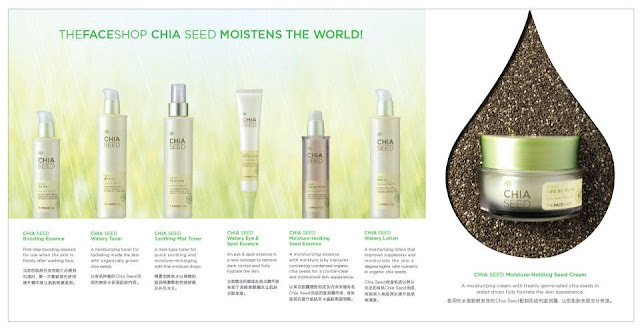 Chia Seed Moisture-Holding Seed Cream -> A moisturizing cream with freshly germinated chia seeds in water drops fully hydrate the skin appearance. This product of Chia Seed is good for youth skin and moisture skin. It also can use for oil skin that don't have serious problem with pimple. 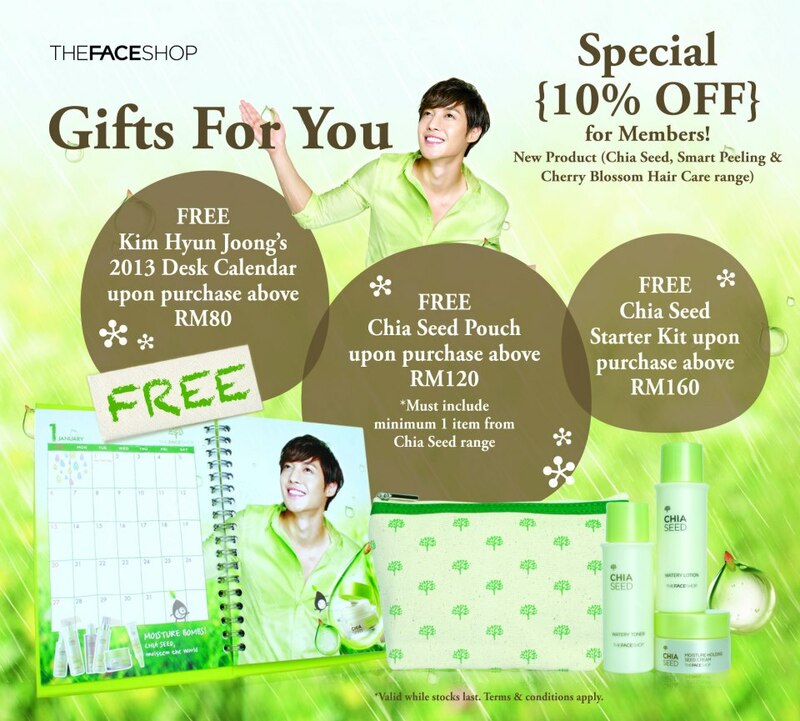 The Chia Seed product have promotion for all members of The Face Shop, that 10% discount. As you can see the above picture, The Face Shop will give some gift if you spent RM 80, RM 120 and Rm 160. But you guys can't get all the gift if you spent around RM 160 above, you just can get Chia Seed Starter Kit only. I have some secret to share, don't worried if you guys want all the gift. You can ask them to separate resit to RM 80, RM 120 and RM 160, if you want all the gift. For Chinese New Year promotion, The Face Shop will give you rebate RM 18 if you spent around RM 100 per resit.